Cbs 3/2/1 home, in the process of being remodeled. Owner has installed new flooring thru-out home and in the process of finishing backsplash in kitchen and finishing 1 bathroom and painting. New a/c and water heater installed in 2018. Home is fenced with a screened enclosure as well, neighborhood has sidewalks and street lights. Parks , schools, churches and shopping are walking distance. Open floor plan 3 bedroom, 2 bathroom home with a large backyard. Bring an offer today! Clean 3 bedroom 2 bath cbs property with large fenced backyard. Interior just completely painted, living areas are tiled and new carpeting in bedrooms, split floor plan with slider leading to private backyard. 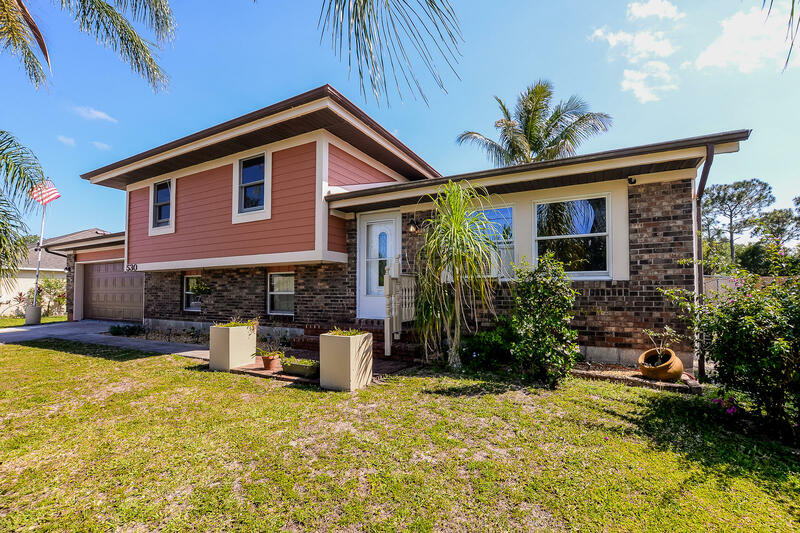 Tropical landscaping surrounds this quaint home, located on a quiet street. 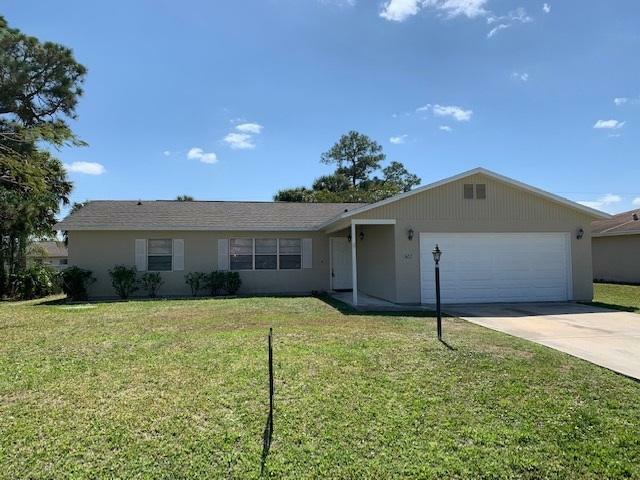 New title flooring throughout the entire house creates a clean line,fresh interior paint huge master bedroom conveniently located near shopping centers and schools , a wonderful place to call home. Just two blocks from northport middle school. Owner motivated,please bring offers. 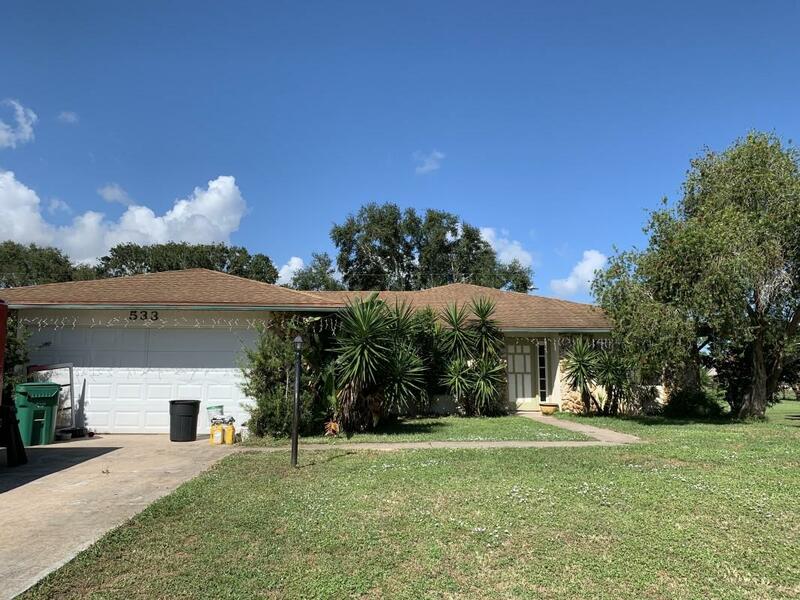 Brand new metal roof cbs home on a corner lot move in ready. Seller just updated bathrooms and flooring. 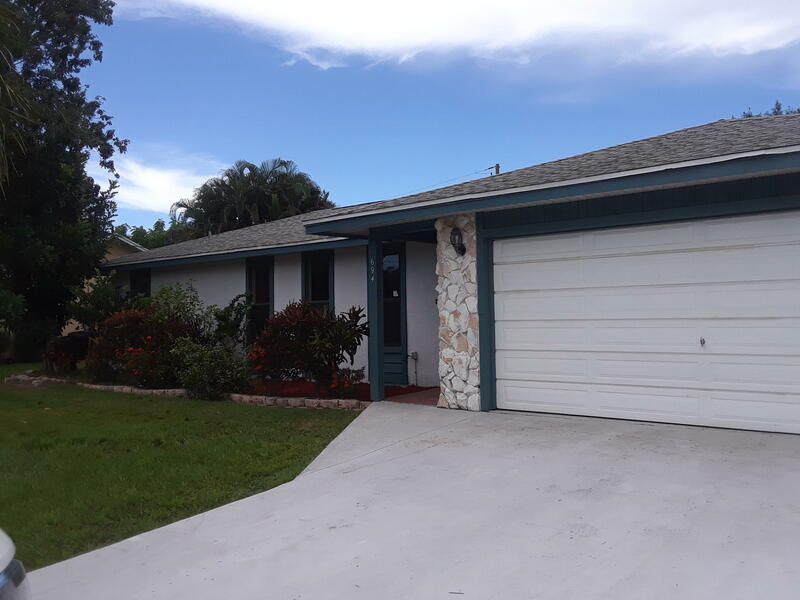 This beautiful home located in a very nice neighborhood in port saint lucie, close to us1 and easy access to crosstown if commuting down south for work. I95 and turnpike are 5 to 10 minutes away, walking trails and a bridge is coming to connect crosstown with us1. This is an up and coming area and this property has an over sized corner lot with two large car ports and extra large driveway. 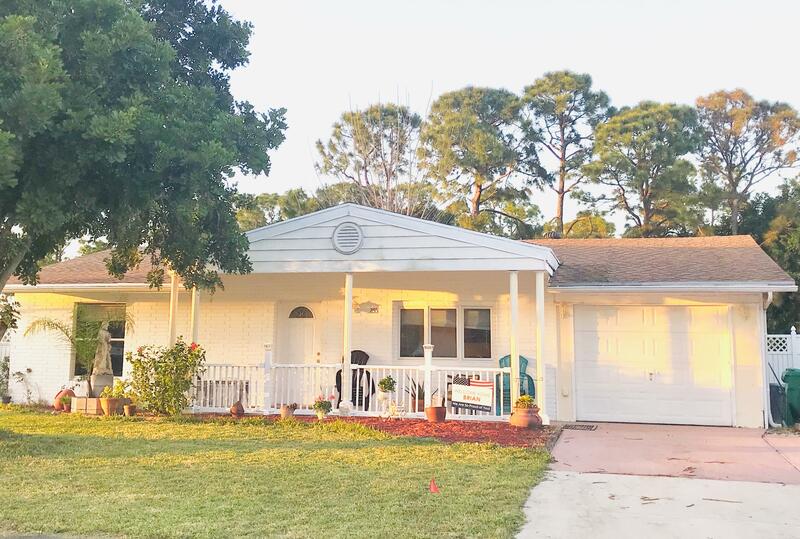 The lot is designed well with lush landscaping and gorgeous trees and it includes a florida room where summers can be enjoyed and winters from inside with a view of nature that surrounds this home. Close to schools and shopping. Gorgeous 3/2/2 all remodeled. This home offers: formal living room, formal dinning room, den/office and breakfast area. Living areas flooring are tiled and bedrooms of beautiful laminate wood. Bedrooms feature walkin closets. Kitchen offers stainless steel appliances, microwave , glass top range and pantry. Large backyard good for a pool and a boat. 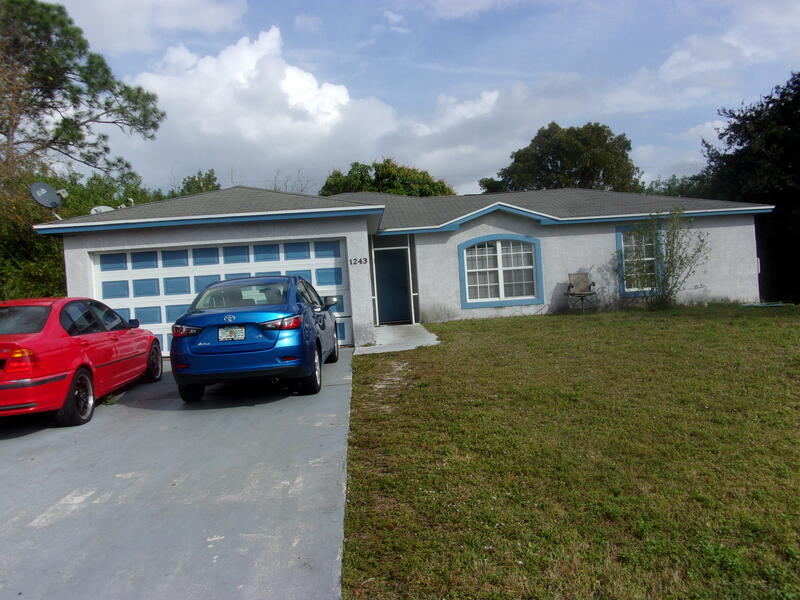 Excellent location by floresta ave, minutes away from the tpk and i-95. 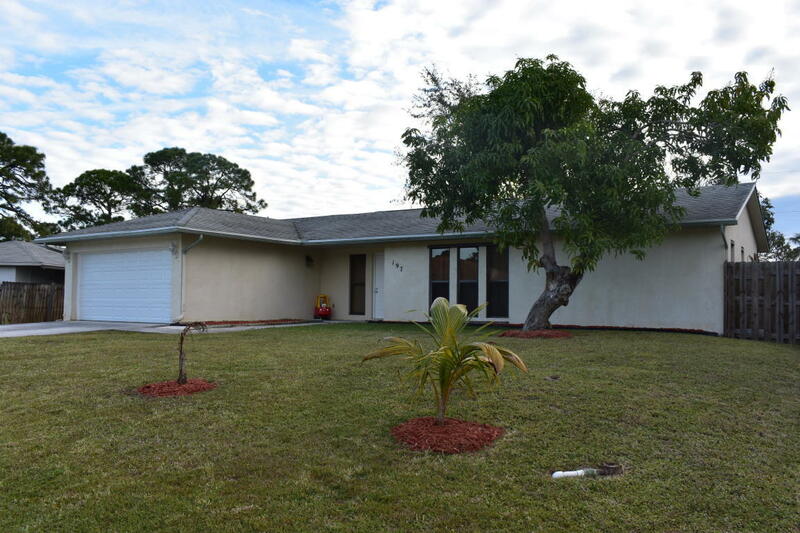 You will love this charming 2-story home located only minutes away from st. Lucie west. 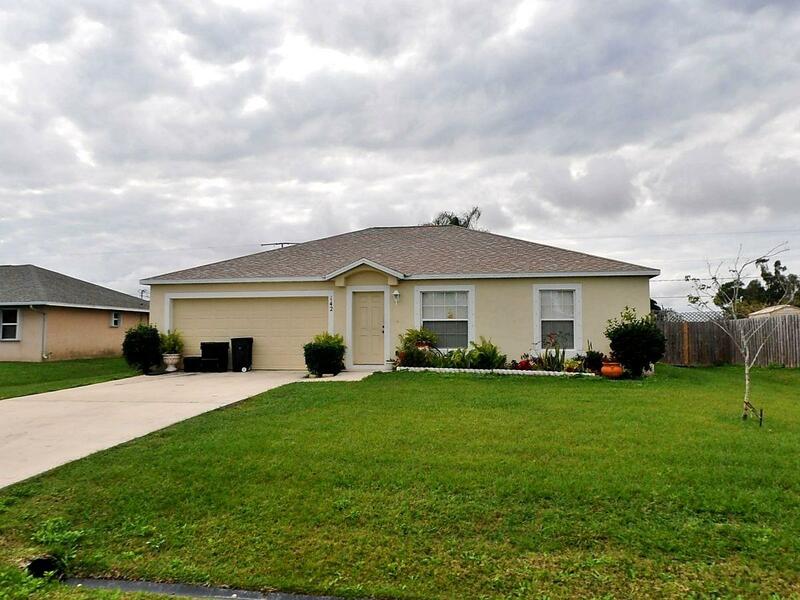 This 3 bedroom, 2 bath home has a 2-car garage with a large storage room. 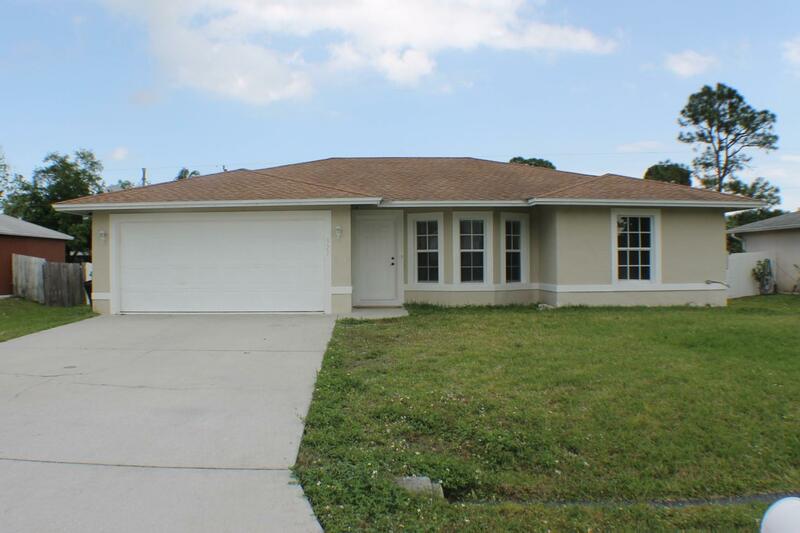 Home is tiled throughout the common areas and laminate floors in all bedrooms. The office/den is located just off the master bedroom separated by french doors. A large bonus room can be used as a family or game room. The possibilities are endless!! Back yard is fenced and big enough for large bbq parties. Come and see for yourself.